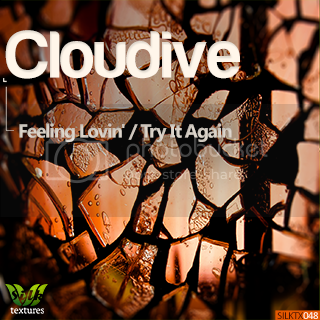 Better known for his progressive house and trance main alias Aleksey Yakovlev, Cloudive is an exciting new recruit for Silk Textures. His deep 2-track EP kicks off with the funky "Feeling Lovin', which features the titular vocal hook throughout the song. A resonant, "classic" deep house baseline offers a muscular groove, while "neon" synths spice up the melody. The B-side, "Try It Again", is a more emotive affair, once again centering on a titular vocal phrase. There's a raw, late-night "intrigue" to this one, which will hopefully have you moving along well into the after hours.